Born in Kimry, now Kalinin region. Named Honored Artist of the Russian Soviet Federative Socialist Republic RSFSR (1968). He studied at the Moscow Higher School of Industrial Art (1947-54) with ES Theis, VE Egorova, MA Markov, VP Komardenkova, VP Kiselyov. 1964-1981 – creative residences to Italy, Spain, Bulgaria, Tunisia, Morocco. 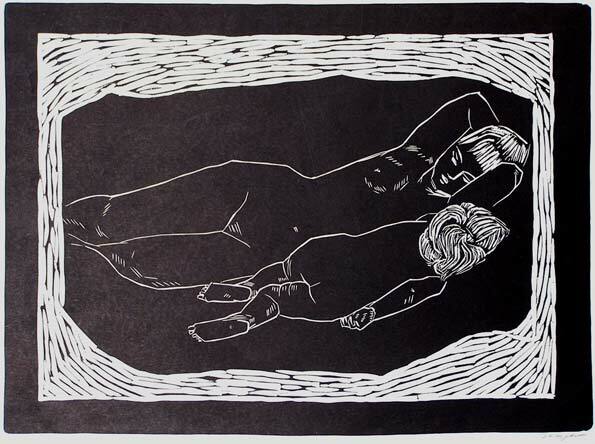 He worked mainly in the art linocuts and etchings. His work is characterized by a modern infused poetic sense of reality perception, a strict architectonic composition and rhythm, contrast matching black and white tones. His works are exhibited in the State Tretyakov Gallery, the Pushkin Museum, Museum, Art Museum of Yaroslavl, Vologda Regional Art Gallery, Bryansk Regional Art Museum, among others.